A month ago, recently unionized writers and editors at Slate voted almost unanimously to strike over the company's diversity policies and a rule mandating union fees be optional for employees. Slate’s 51-member editorial and podcast staff today ratified its first collective bargaining agreement with the Writers Guild of America, East. The three-year agreement includes a minimum starting salary of $51,000, annual pay increases, the rights to derivative works, protections against online harassment, codifying anti-harassment policies and a diversity task force, among other protections. It's been a hard-won battle. In February 2017, the Columbia Journalism Review reported Slate laid off five staffers, two of whom — Tommy Craggs, politics editor, and Laura Anderson, associate editor, were leaders of a unionization effort. Slate denied anyone was targeted in the layoff and Craggs agreed. 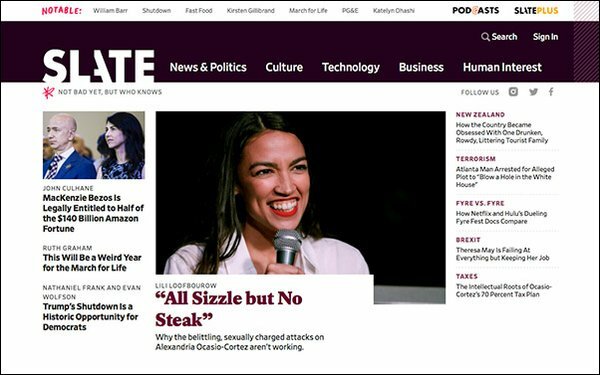 In addition to Slate, the WGAE represents staffs at digital shops Refinery29, ThinkProgress, Thrillist, The Dodo, Onion Inc., Salon, The Intercept, Vox Media, VICE, HuffPost, Fast Company, Talking Points Memo, MTV News and Gizmodo Media Group. The Writers Guild of America, East, AFL-CIO (WGAE) is a labor union representing writers in film, television, news and new media.